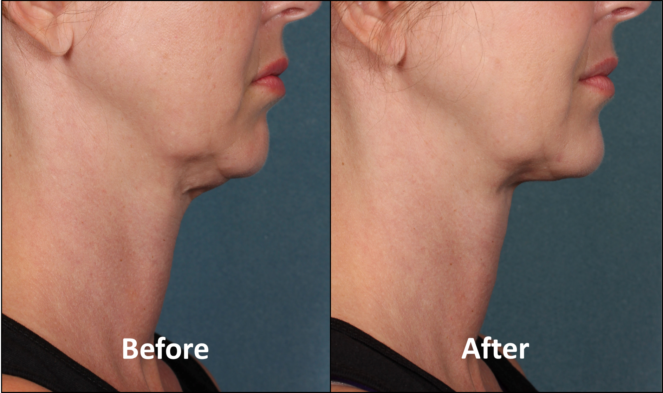 Kybella: Removing the “Double Chin” Without Surgery. 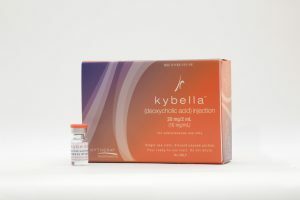 Kybella, manufactured by Kythera Biopharmaceuticals, is the first and only FDA-approved injectable drug that contours and improves the appearance of submental fullness due to submental fat. It is composed of deoxycholic acid, which causes fat cell breakdown, and has been shown to safely and effectively decrease the amount and appearance of submental fat in as few as 2 treatments. Safe and effective treatments were demonstrated in almost 20 studies, including 2,600 patients. 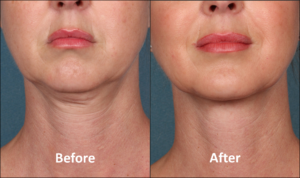 Kybella treatments are performed in the office by Dr. Ridha, take about 15-20 minutes, and are performed with a local anesthetic, making the treatment itself relatively painless. Results can be seen as soon as a month after treatment, and follow-up treatments are performed at 1-2 month intervals following the initial injections to maximize the results.